Joanna Jedrzejczyk and Valerie Letourneau will battle for the belt this Saturday (Nov. 14, 2015) at UFC 193 inside Etihad Stadium in Melbourne, Australia. In a match up of striking specialists, what adjustments must be made for either woman to claim victory? Find out below! Ultimate Fighting Championship (UFC) women’s Strawweight standouts Joanna Jedrzejczyk and Valerie Letourneau will collide this Saturday (Nov. 14, 2015) at UFC 193 inside Etihad Stadium in Melbourne, Australia. What can be said about Jedrzejczyk that hasn’t already been repeated a few thousand times in pre-fight advertisement? 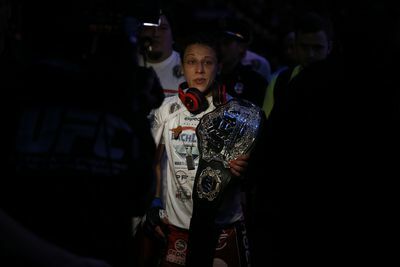 Joanna “Champion” is undoubtedly the nastiest striker in women’s mixed martial arts (WMMA), and she’s been mauling her recent opponents. Meanwhile, Letourneau’s success has received less coverage, but she is undefeated in her new weight class. Plus, the Canadian is a talented striker in her own right.